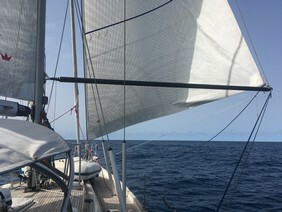 Once free of the masses and once past our departure time of 13h00, we slowly drifted towards the Committee boat (a Spanish naval vessel) and formally crossed the starting line at approximately 13h15. 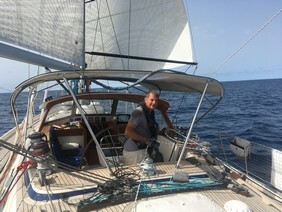 We managed to negotiate the tricky winds around the islands (with their treacherous acceleration zones) well and were soon headed in a general south-westerly direction, looking for the trade winds to take us across the Atlantic. 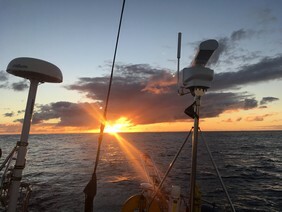 The first few days were pretty windy, and we later heard of a lot of damage done to some boats in the ARC fleet on their first night at sea. 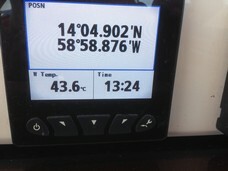 Afterwards, the wind subsided, and in fact a lot of boats had to motor south in search of wind. 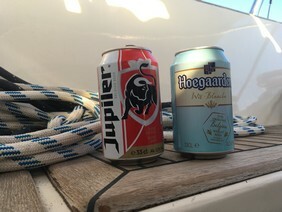 Chris Tibbs, the ARC meteorologist, had indeed suggested during the final skippers' briefing that we may well wish to invest some diesel into motoring south, given the general weather situation during the days after the ARC departure. 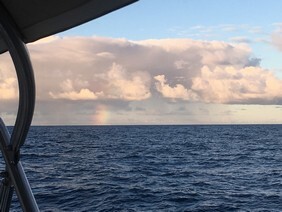 You can see from our track - see pictures below - that we had to go very far south and at one stage even head quite decisively towards Africa, to finally find our beloved trade winds. We heard of many boats putting in at the Cape Verde islands to refuel. 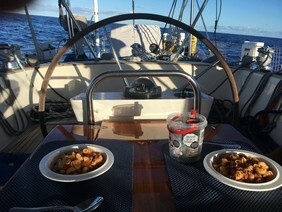 We managed to do most of our trip under sail, motoring only a brief part of the trip when the winds subsided to 2-3 knots! In between, hours merged into days, into weeks - the daily routine of looking after the boat and keeping everyone on board happy with food and entertainment. As an aside, we watched the last two seasons of Downton Abbey, a much-acclaimed U.K. television series, whilst we were still on the eastern side of the Atlantic! The only issue of note and immense frustration was that after a good week, our Iridium phone decided to cut us from the Iridium network. Gone were our daily Grib files for the weather and gone any means of communicating with the outside world. 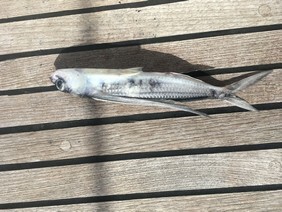 This upset us pretty much, as we were now left to our own devices and had to scrounge weather information from any passer-by (not many of them in the Atlantic where there were days we didn't see a soul - not even a dolphin!!!). 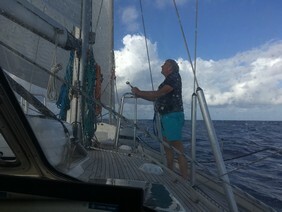 As they say in French, we were certainly not "angry" to reach Saint Lucia after 25 days. 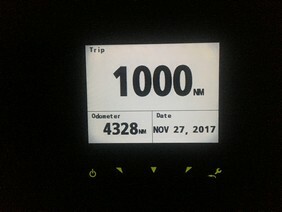 During the last 48-72 hours, we needed to rely on our sturdy Volvo-Penta engine to get us through a strange patch of very light south-easterly (!!!) winds. The reception given by the staff of Rodney Bay marina and the ARC staff "at the other end" was really kind. Sleep at last, as en route the most sleep we had had each night was about 5hrs (not bad as in the beginning we had much shorter sleeping hours - it took us a while to acclimatise to the ocean life, as it were). Once in Saint Lucia we needed some time to get our boat back into shape. Lots of cleaning and little things needed looking at, like why doesn't the generator start, what happened for AST to cut off our Iridium, etc. etc. We had a local Westerbeke engineer look at generator, and loads of people milled around the boat to clean her for us: it's amazing how the salt from the ocean incrusts itself into the hull's paint work. We also toured the island with our Dutch friends from HR54 Mar-Jolie. A couple of pictures: the colourful covered marketplace in Castries, driving around with chauffeur Anthony, and having lunch in a small sea-side restaurant near the Soufrière. 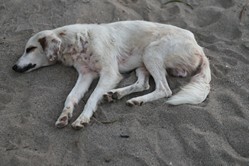 I'd After several days in Rodney Bay marina, we felt it was time to move on. Also, with Christmas approaching, it seemed like a nice idea to go and spend a couple of nights in a beautiful resort hotel, with all the land-based luxury associated to such a resort hotel. We headed off for Marigot Bay and the Capella resort hotel based there. We managed to squeeze Ngahue IV into the back corner of the bay on buoy number nine and took Poutini to the marina quay side. Suffice it to say we had a good time lounging around the pool, the beach and strolling around Marigot Bay. We even had a one-to-one seminar with the Yaniv Gliksman who explained the world of diamonds to us! Arriving from sea, Marigot Bay is well protected and secluded; once inside, there's a second "arrière baie" (as the French would say) where the marina and the hotel's mooring buoys are situated. The marina is dominated by several super yachts and a couple of really big monohulls and catamarans. Multiple Woaws!!! I'd say that our main complaint goes to the weather; too often we were lounging around when a tropical downpour would des troy the effect of paradise and make you cold and wet... Only later on in Martinique did a local explain that the rainy season was late this year (2017) - probably also like the hurricanes that had battered the Caribbean in October 2017.